The Centurion stood sheepishly before the governor, Pontius Pilate. He had not asked for this duty. He commanded the elite troops of Rome while stationed in Caesarea. Caesarea was near the Mediterranean coast. Not only was it beautiful, but it felt more like home. Now, however, the Centurion was in Judea, far away from Caesarea, in a dangerous and volatile place called Jerusalem. With rumors about the Nazarene named Jesus floating in the air, King Herod had asked for a stronger Roman military presence during the Passover feast. The Jewish Ruling Council had sent Jesus to Pilate, screaming for his execution. Pilate then ordered the Centurion, along with his men, to keep the peace and oversee the death of three condemned men. The Centurion's primary job was to keep the peace, then confirm to Pilate that one specific condemned criminal, the one from Nazareth, was dead. Watching over the death detail was beneath his station. The Centurion was a professional soldier, not an executioner and prison house lackey. When ordered to carry out Pilate's sentence on the Nazarene, he had expected the worst. Reality proved him right. The Centurion anticipated the ranting, raving, insults, mockery, and cruel jokes. In fact, his men would enter into this sadistic part of the execution of the three men. This sort of behavior as the condemned endured the slow, humiliating death of crucifixion was expected of the executioners. However, the Centurion had not expected other more cosmic events. Earthquakes, darkness at midday, and the eerie sense of something much bigger happening had set the Centurion on edge. The look in the Nazarene's eye also tugged at his heart. In the middle of the mayhem of a public crucifixion, the Nazarene had said, "Father forgive them, they don't know what they are doing." Then, this helpless man from Nazareth had looked right at him, the one in charge of it all! The death detail of soldiers cast lots for the Nazarene's clothes. The religious powerbrokers hurled their insults at him. 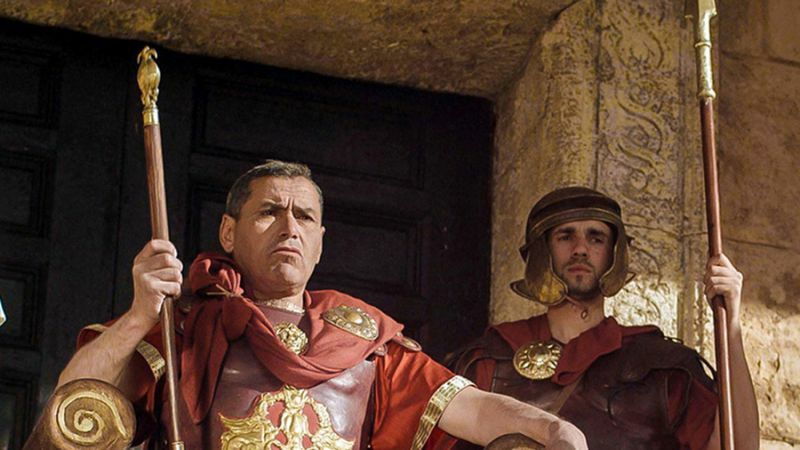 The two criminals on either side of him screamed at each other, the crowd, and the Roman soldiers who were in charge. This Nazarene, however, had prayed for their forgiveness! Then this dying man, named Jesus, had looked at one of his friends and told him to take care of his mother. Jesus then looked into the heavens and seemed to give his spirit up to some unseen deity — this God he called Father. At that moment, this battle-hardened man, this Centurion who was part of the best and most hardened of Rome's army, surprised himself. "Surely this was the Son of God," the Centurion heard himself say. When Jesus' death was confirmed, Pilate sent the Centurion back to Golgotha, skull hill where they had overseen the end of this Jesus of Nazareth. There were two others he and his small entourage of elite soldiers accompanied. They were quite a sight. The Centurion in his burnished armor, a wealthy man named Joseph in his fancy clothes, along with a man in all of the religious garb he had the religious leaders wear earlier. Only these two men were allowed to take down the body of the Nazarene from the cross and bury it. The Centurion and his men were to accompany them. The presence of the Roman Centurion and his men was to ensure that nothing happened with the body. Once again, the Centurion found himself at the foot of the foul-smelling, blood-stained, instrument of torture. This time he was there to take down the Nazarene's mutilated and lifeless body. His death detail of soldiers must now oversee the entombment of an executed Nazarene in a borrowed tomb? Somehow, the Centurion knew Jesus' story wasn't over. Even when his men rolled the stone across the door to the tomb and sealed it shut, he knew he had the lingering suspicion that he had not heard the end of this Nazarene fellow. Little did the Centurion know that the strange pull of faith on his heart would be challenged and enlivened with what was about to happen over the next few days. "Surely this Jesus is the Son of God!" The Centurion would hear his heart say this confession of faith again in the coming days. In the coming weeks, many would come to agree with him. Is that exactly how the story happened? I'm not sure. 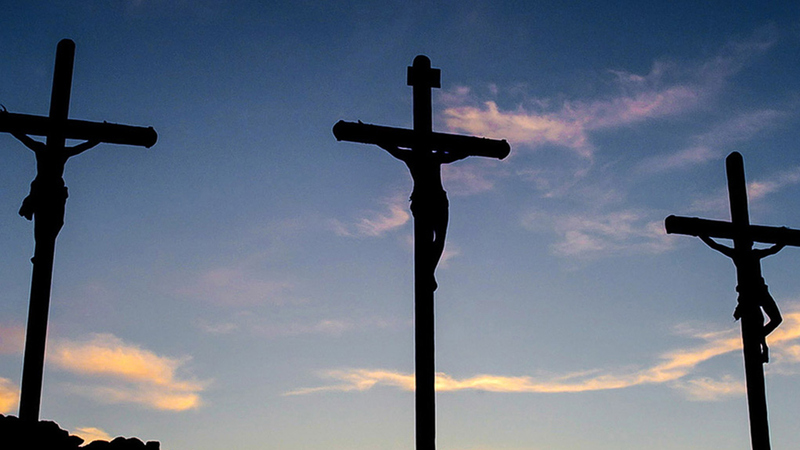 That's how I put it together in my imagination after looking at the different accounts of Jesus' crucifixion focusing on the role of the Roman Centurion (See the account from the Gospel of Mark at the bottom of this article.) But for me, there is a bigger issue for you and me. The Centurion with the sick servant who recognizes Jesus' authority (Luke 7:1-10). The Centurion at the Cross who confesses Jesus as the Son of God (Mark 15:37-47). The Centurion named Cornelius who becomes the first Gentile disciple recognized by the church leaders in Jerusalem (Acts 10:1-48; Acts 11:1-18). That we can receive the Lord's help with appreciation and confidence knowing He has the ultimate authority to bless our lives (Luke 7:5-10). That we can trust that Jesus is the Son of God who has died on the Cross to share God's life with us (Mark 15:37-39). That no matter how good our life may appear to be (Acts 10:22-23), Jesus calls each of us to receive the Holy Spirit and be baptized based on our faith (Acts 10:34-48; Acts 11:15-18). Which of the three things do you need most to do with Jesus? ... receive the Lord's help with appreciation and confidence? ... believe that Jesus is the Son of God who died for you? So what are you going to do with Jesus? ... respond to Jesus' offer of grace by believing in Him, receiving His Spirit, and being baptized? What does it say about the kind of man that Jesus must have been if career soldiers in Rome's army believed and followed Him as their Lord? Why do you think Jesus has been portrayed as a wimpy and weak man for the most part in art and in movies? How do we know this is not a true portrayal of who Jesus was? What events in the life of Jesus help you best picture Jesus as a strong, powerful person with the personal authority to make things happen? Women were also powerfully touched by Jesus and some supported Jesus, yet Jesus was not accused of being sexually immoral with women or "under the thumb" of women. How do you think he avoided these accusations? 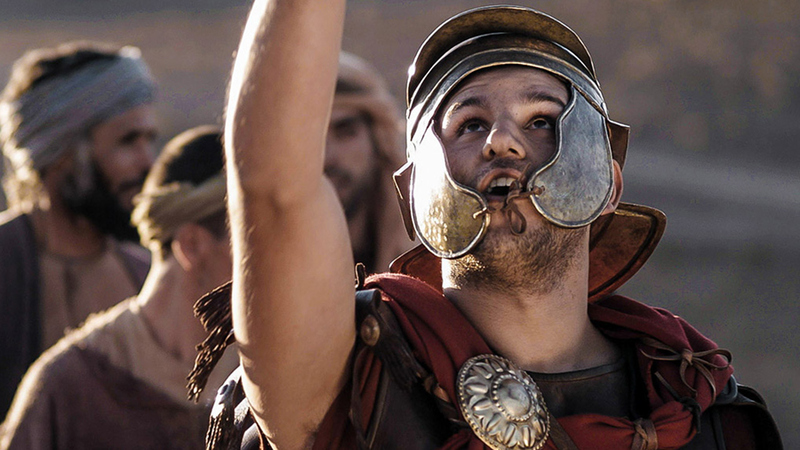 Which of the three stories of the Centurions in the New Testament is your favorite story? Why? The curtain of the temple was torn in two from top to bottom. And when the centurion, who stood there in front of Jesus, saw how he died, he said, "Surely this man was the Son of God!" Some women were watching from a distance. Among them were Mary Magdalene, Mary the mother of James the younger and of Joseph, and Salome. In Galilee, these women had followed him and cared for his needs. Many other women who had come up with him to Jerusalem were also there. It was Preparation Day (that is, the day before the Sabbath). So as evening approached, Joseph of Arimathea, a prominent member of the Council, who was himself waiting for the kingdom of God, went boldly to Pilate and asked for Jesus' body. Pilate was surprised to hear that he was already dead. Summoning the centurion, he asked him if Jesus had already died. When he learned from the centurion that it was so, he gave the body to Joseph. So Joseph bought some linen cloth, took down the body, wrapped it in the linen, and placed it in a tomb cut out of rock. Then he rolled a stone against the entrance of the tomb. Mary Magdalene and Mary the mother of Joseph saw where he was laid (Mark 15:37-47 TNIV). "Surely!" by Phil Ware is licensed under a Creative Commons License. Heartlight encourages you to share this material with others in church bulletins, personal emails, and other non-commercial uses. Please see our Usage Guidelines for more information.